Say you just want the call to be immediatly forwarded to another number. Simply enter the number to which you want to foward and then select “Instant” on the dropdown menu. When your Vonage number is dialed, it is immediatly forwarded to the number you enterd. From the caller’s perspective, they dial a number, it rings, and you pick it up–simple. From your perspective, the phone at the number to which the Vonage number is forwarded rings and you answer the call. This could be your cell phone, another phone line in the house, or a number in another state or country. Just be aware of the impact on minutes charged depending on to what number you are forwarding. This is just like the Immediate Forwarding, except that the number to which you forwarded doesn’t ring until the time delay you set expires. Again, from the caller’s perspective, they dial the number, it rings, and you pick it up. From your perspective, the Vonage line rings for the number of seconds you define and after that time, the phone at number to which you forwarded rings. This gives you the opportunity to pick up the Vonage line before it forwards. I found this to be cool. Again, it’s the same from the caller’s perspective as above, but from your perspective, the Vonage line rings AND the line to which you forwarded also rings at the same time. Say you set the forward number to be your cell phone. 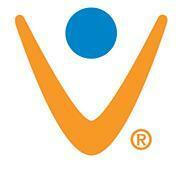 Every call the comes to your Vonage line will ring on your Vonage phones AND your cell phone at the same time. Either line can be answered. Depending on your various call plans or your circumstances, you can determine what line to pick up. First, be aware that the call to the number to which you forward is charged to your Vonage account as it would be if you called it. If it is a local call, then it will count against your local minutes. Likewise with Long Distance. If you have one of the unlimited plans, then it doesn’t matter. Also, if you are forwarding to a cell phone, then the cell phone’s minutes may also apply. Second, be aware that VoiceMail also uses a form of call forwarding, so you must consider the forwarding delays of each. For example, if you set VoiceMail to pick up after 15 seconds and have Call Forwarding delayed to 20 seconds, the call will never get forwarded, but go immediatly to VoiceMail. One thing that “stung” me was when I had the line ringing to both my Vonage line and my cell phone. Vonage VoiceMail was set to answer after 30 seconds, but my cell phone’s voice mail picked up sooner than 30 seconds so the cell phone was answering the voicemail, so Vonage VoiceMail never had the chance to picked up. If you really think about how it all works, it does make sense, and the fact that you can tailor it is VERY nice. It just takes a bit more thought to ensure that what you really want to happen happens.